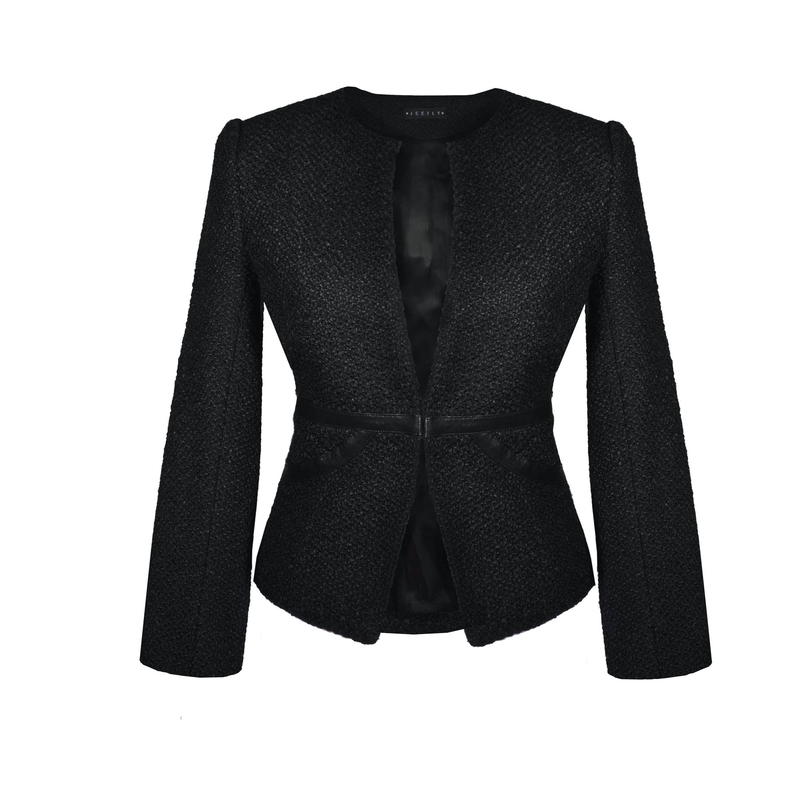 A timeless petite boucle tweed jacket with a stylish faux leather trim to accentuate the waistline. 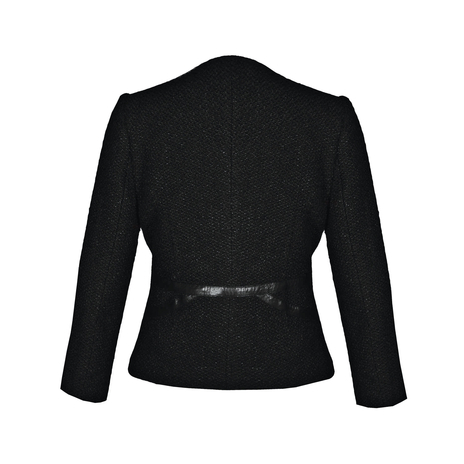 Featuring a cutaway front to flatter the petite figure with a round open neck line for ease at the bust, the fully-lined cropped jacket fastens to the front with a single metal hook. Close fitting with slim sleeves. To ensure this garment fits you perfectly, please refer to our size chart as our sizes may fit smaller than other UK brands. Our model is 5'1" and is wearing a size 6. COMMENTS : Lovely fitted jacket. Would be better if the ends of the sleeves had been sewn back so you don't have to tuck the material back in every time you put it on.